If there’s one thing that makes me furious it’s the puppy mill industry. It’s hard to imagine a fate much worse than a puppy mill dog. Forced to live in filthy, crowded cages, and being bred at every possible opportunity just for the sake of profit. It’s hard to imagine how they still exist given all that’s known about their cruelty, yet so many still remain in business. 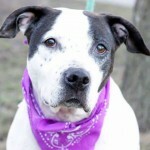 On May 19 Senator Bieda (seen in the featured image) introduced the The Large Scale Commercial Dog Breeder Act. This legislation will enact registration, standards, and a reasonable limit on the number of breeding dogs, and it will help stop puppy mills from establishing themselves in Michigan. While this is wonderful news it still hasn’t passed. 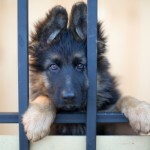 If it does go through it will help crack down on Michigan puppy mills, but unfortunately it’s not just Michigan puppy mills that are the problem. 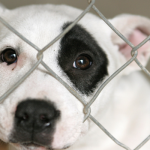 Many of the puppies sold in Michigan pet stores come from out of state puppy mills. I support local rescues and try to expose the unethical and cruel practice of commercialized breeding, but I have to admit, I’m not a strong leader when it comes to organizing others. That’s why I’m thrilled that there’s a wonderful group of volunteers in my area that spends their time taking a stand against puppy mills. If you’re in Michigan check out the Puppy Mill Awareness of Southeast Michigan. 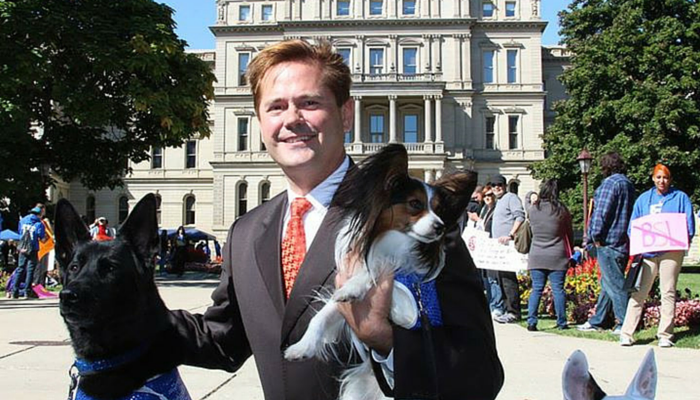 They hold many events throughout the state and help promote laws that protect animals, giving us Michiganders the opportunity to join in and take a stand against puppy mills. I feel lucky to live so close to the Puppy Mill Awareness of Southeast Michigan, a huge group of volunteers that’s dedicated to putting an and to puppy mills in our area. They help educate the public about the unethical practice of commercialized breeding (puppy mills), encourage pet stores to become “pet friendly: by not selling animals, pass stronger laws to protect animals, and promote the benefits of adopting animals through rescues and shelters. The Puppy Mill Awareness Meetup of Southeast Michigan is working to end the mass production of dogs in commercial kennels (“puppy mills”). Our mission is to educate the public about the cruel cycle of commercial dog breeding and the pet store link. The only way to end commercial breeding facilities (puppy mills) is to stop the sale of puppies sold in our local pet stores. Most estimates suggest that 99% of all the puppies in pet stores come directly from puppy mills. Photo from the Puppy Mill Awareness Day event in Lansing 2012. The group met with representatives to gain support for the Puppy Protection Act & Pet Lemon Law. Petland is the nation’s largest puppy retailer, and they have one location left in Michigan at the Twelve Oaks Mall in Novi. They’ve been exposed by Animal Planet, the Humane Soceity of the United States, and Channel 7 as selling sick puppies from commercial breeding facilities all over the country. The Novi Petland location takes in 88 puppies per month on average, and one of their biggest suppliers is a huge puppy mill in Kansas that houses 773 adult dogs. Each year the they hold a Puppy Mill Awareness Day event, and this year’s is taking place on September 27. They’re forming a human chain in front of the Twelve Oaks Mall and across the street from Fountain Walk, home to Michigan’s largest retailers of puppy mill dogs: Petland and The Family Puppy. Last year’s event had over 200 participants, as of today (a few months away) there’s already 127 people signed up. Photo from last years Pet Awareness Day Event. 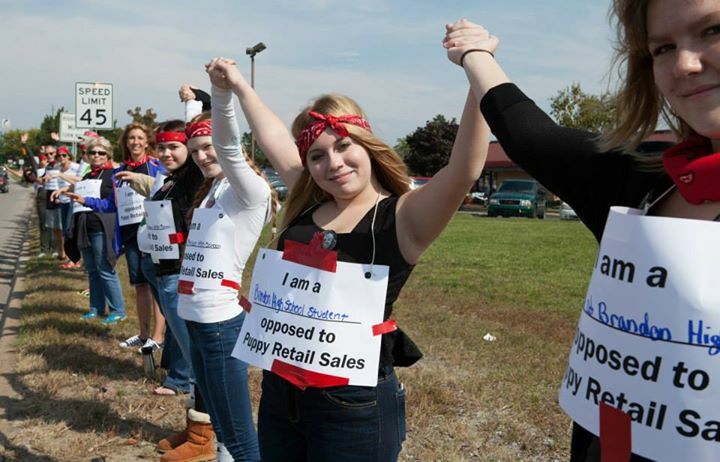 200 people formed a human chain in Novi to protest the sale of puppy mill dogs from local pet stores. 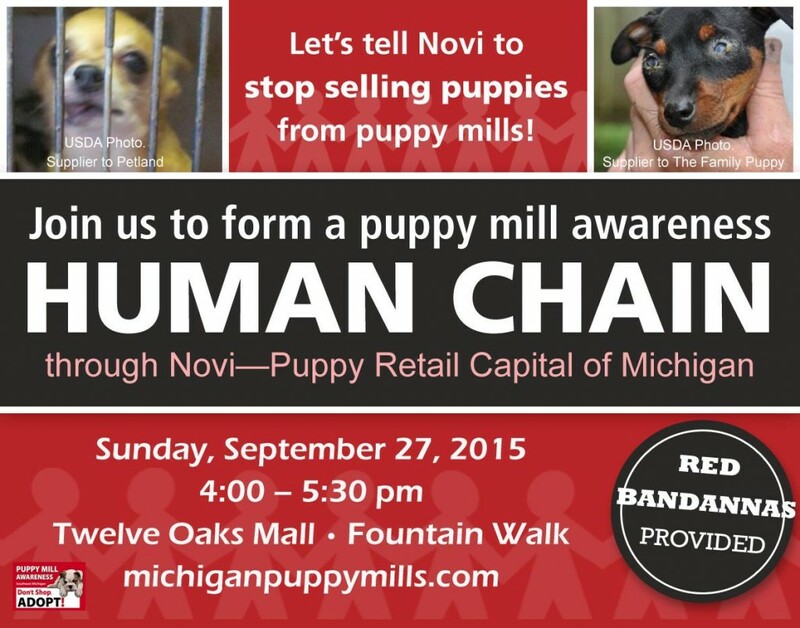 If you’re in Michigan come out & join us, let’s help take a stand against puppy mills. If you can’t make it to the event on September 27 but live in Michigan follow them on facebook to stay up to date on all of their upcoming events. We can’t do everything, but together we can certainly do something. Let’s join together and put an end to puppy mills. 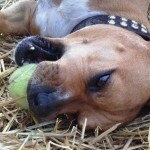 Want to Help Take a Stand Against Puppy Mills? If you’re against commercialized dog breeding but don’t know how to help try searching for some local groups. If there’s one here in southeast Michigan I know there’s plenty more out there. A good place to start is the Companion Animal Protection Society, the only national non-profit organization dedicated to protecting companion animals from cruelty in pet shops and puppy mills. 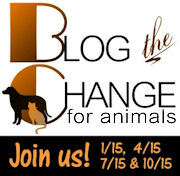 This post is part of Blog the Change, hosted by Be the Change for Animals. Be sure to visit all of the other amazing posts below and help spread the word by sharing your favorites on social media with the hashtag #BtC4A. « Why Do Dogs Stick Their Heads Out Car Windows? How pawsome. Lots of puppy mill puppies come from MO, don’t they? Puppy mills give legit breeds a bad name so that people lash out at any and all breeders. I hope the bill passes. Great to see that protestors have a practice of talking to pet stores first. I wonder if including a large shelter who would be willing to place adoptable animals in the store (and promote it to their adopters) would help? It’s only a matter of time before the last few pet stores stop selling cats and dogs. Unfortunately, puppy mills are turning to the internet. Ugh. Another fight. I’d love to see rescues work with pet stores as well, I know it’s been done elsewhere and it works great. Whether it’s just due to “omd puppy cuteness!” or what I’m not sure, but it’s really hard not to fall in love with cute animals as you’re browsing through the store. You’re right about the online market for live animals, it’s gotten so huge. I would have hoped by now that there’s enough information out there about puppy mills that people might think twice before buying one, but apparently it’s not enough. I’m sure it doesn’t help that these online retailers & in person pet stores are able to produce documents that show the puppies parents records with fancy names & locations – which do make it look like they’re legitimate breeders. The proposed legislation looks common sense, but I would like to see some of the number of breeding females in the large scale dog breeding kennel lowered to say, 10. Most hobby breeders that I know do not keep that many and if they keep over that many, I do not think much of their breeding programs and I do not consider it a hobby. I guess my point is that poorly bred dogs are just not sold from a pet store. I’m really worried about what the legislation will actually accomplish as well, it absolutely looks good on paper, but so does making animal cruelty a felony, yet there’s still a lot of cases that seem to bring no actual charges. Sad to say but I’m not overly optimistic about what the outcome will be if it’s passed. It is true, you can’t change hearts and minds through legislation. If it were that easy there would be no more murders. All you can do in the case of stores selling puppy mill puppies is to try to educate people about a better choice. As far as protests, I am not sure those do much to educate the potential purchaser which I have always thought is the way to end the practice. If people would quit buying the dogs, the stores would quit selling them. I have never understood why the “anti puppy mill” supporters do not do more to tell people that there is a better alternative (ie a responsible breeder) if they are set on a purebred dog. You’ve got a great point there as far as educating people about where to get a purebred dog from. For every article I’ve seen on “how to find a responsible breeder” there seems to be 50 “signs of a bad breeder.” Both definitely have their place but there does seem to be a large gap in information available on choosing a good breeder. And I also notice that many animal welfare groups tend to solely focus on rescue only, not even mentioning the option of going through a good breeder. Thanks so much for your kind words on my health screening series. I have been so swamped I have kind of let it fall off. I had intended to write a post about DM as maybe the last in the series for now, but that test has proved not to be completely accurate. I am waiting to see if more research comes out. The other point is that for the most reputable breeders (depending on overall breed popularity) the average person never hears about the really good litters because they are sold before they are born and/or the breeder has a wait list for pups. Another issue which complicates things for people looking for pups. I’m so glad to see this taking place! MOST (there is one that sells commercially) pet stores around here have adoption events where they showcase animals (mostly dogs/puppies) available for adoption. I personally will not shop in a store that sells puppies. We have an organization called, “Connecticut Votes for Animals” they work with politicians and lobbyists to make changes to our animal welfare acts. They do a decent job too, but there is still a lot left to do. Thanks for sharing this, it’s so perfect for BTC. Such an important subject! Kudos to all the folks in this wonderful organization working so hard to protect pets from the cruelty and abuses of puppy mills and pet stores. Michigan is doing right by considering tougher legislation – I hope it culminates in the end of commercial puppy sales in your state. The human chain is an excellent idea! It will surely garner much attention and should go a long way in bringing awareness and education on this topic.